Mid-July to early November. 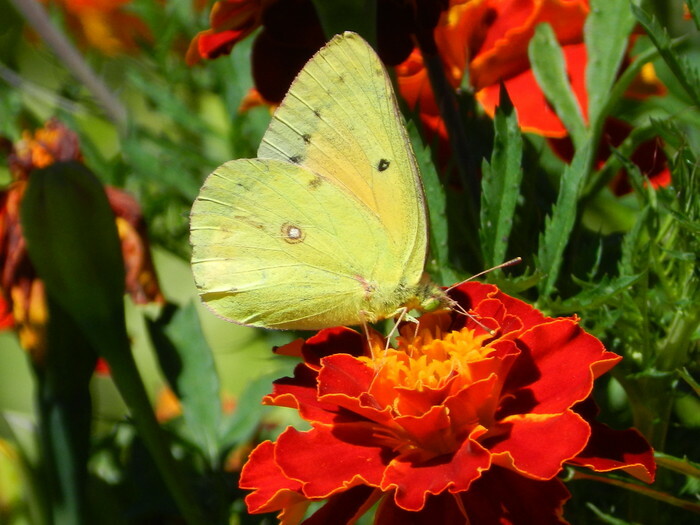 Possibly two broods. 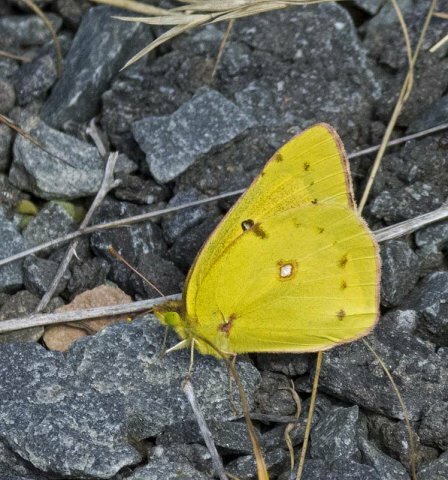 Superficially similar to the Pink-edged Sulphur and the Clouded Sulphur, but the intense orange colour in most individuals is diagnostic. 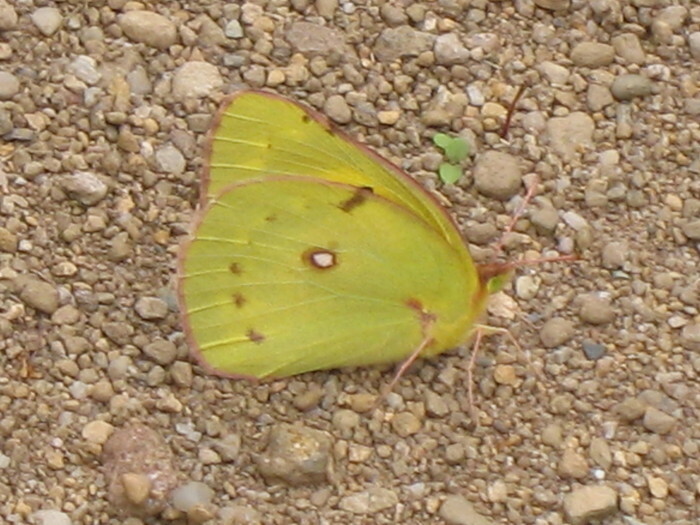 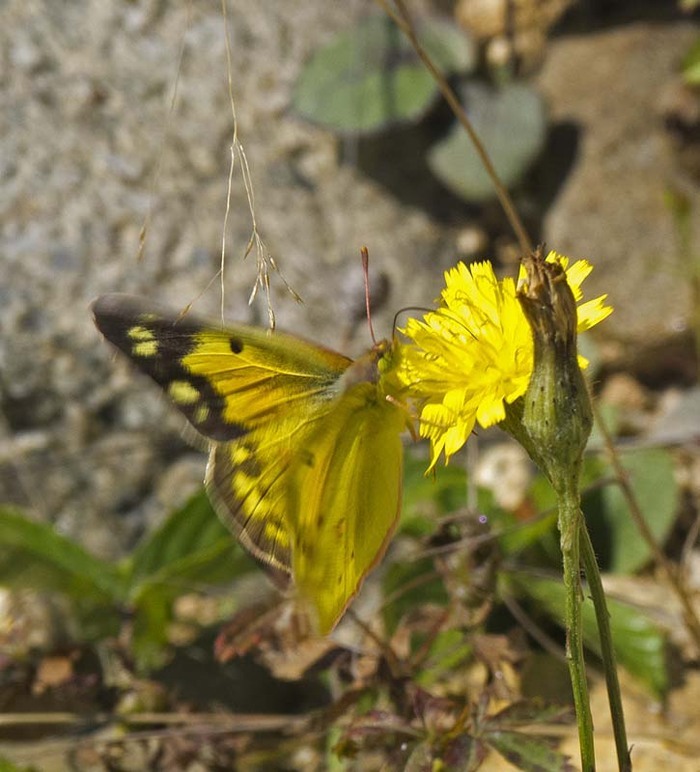 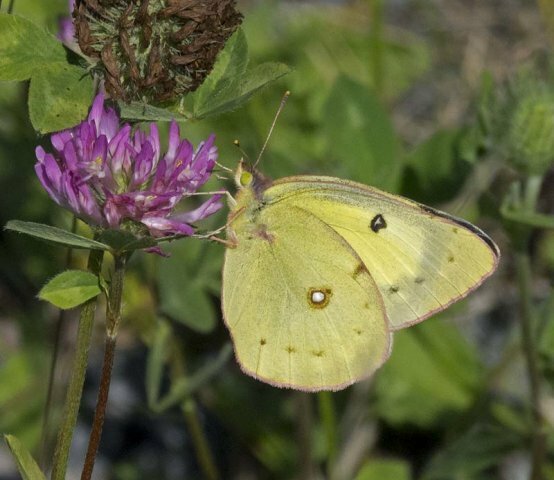 Females of the greenish-white form are difficult to separate from Clouded Sulphur females of the same colour. 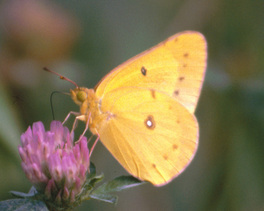 Also known as the "Alfalfa Butterfly".